Congratulations to everyone who participated in the successful first International Science Center & Science Museum Day (ISCSMD) on November 10! The global event began with activities by Science Alive! The New Zealand Science Centre, in Christchurch, and continued across the time zones until the day concluded 30 hours later when the last guests left the Anchorage Museum in Alaska. More than 300 institutions in 58 countries helped hundreds of thousands of visitors celebrate science while showing support for the Sustainable Development Goals that were set by the world’s nations in 2015. 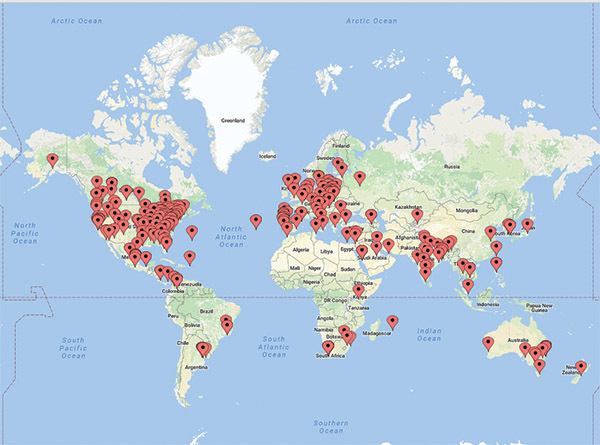 ISCSMD is a collaboration among the United Nations Educational, Scientific and Cultural Organization (UNESCO), the International Council on Museums (ICOM), and these networks of science-engagement institutions: Asia Pacific Network of Science & Technology Centres (ASPAC), Association of Science -Technology Centers (ASTC), European Network Science Centres and Museums (ECSITE), North Africa and Middle East Science Centers Network (NAMES), National Council of Science Museums (NCSM), Red de popularización de la Ciencia y la Tecnología en América Latina y el Caribe (RedPOP), and Southern African Association of Science & Technology Centres (SAASTEC). The day also saw a high-level forum of science center leaders and experts from outside the field at UNESCO Headquarters in Paris. Watch for more summaries of the ISCSMD in the weeks and months to come, including outcomes from the Paris forum that will be part of the Science Centre World Summit in Tokyo, November 15–17, 2017. 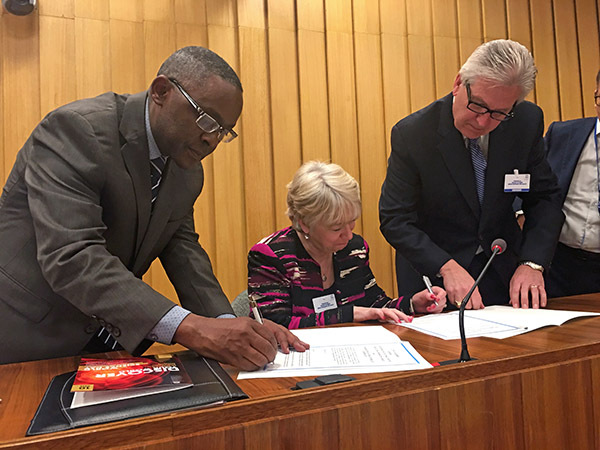 During the Paris event, ASTC Chair Linda Conlon (above, center) signed a cooperation agreement between UNESCO and ASTC, witnessed by (above, left) Romain Murenzi, director, Science Policy and Capacity Building, UNESCO, and (above, right) Anthony (Bud) Rock, president and CEO, ASTC. The agreement continues a partnership for future events and efforts and focuses on the promise of UNESCO to promote the need for science centers in regions where they do not yet exist. 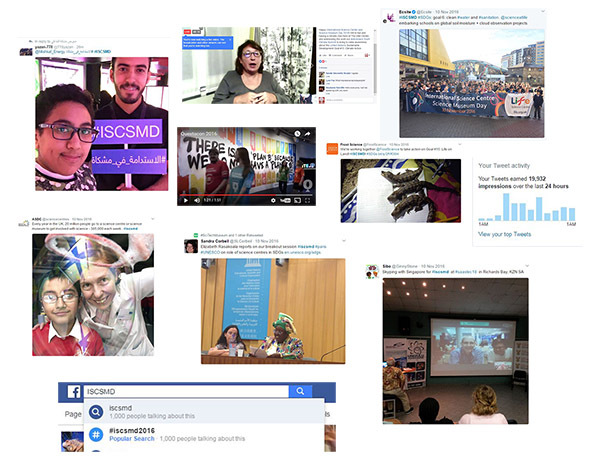 For a quick tour of ISCSMD events across the planet, see #ISCSMD tagged media in the Instagram, Facebook, and Twitter worlds or take a look at videos from TELUS World of Science in Edmonton, Alberta, Canada; Monastir Sciences Palace in Monastir, Tunisia; Csopa Science Center in Budapest, Hungary; Petrosains in Kuala Lumpur, Malaysia; or Mind Museum in Bonifacio Global City, Taguig, Philippines. If your institution has any first impressions, images, or other feedback to share about the event, please contact ASTC’s Walter Staveloz.